How do you get in the circle of trust with developers? Developers are a tough crowd. They’re highly skeptical of marketing jargon, aren’t impressed by fancy HTML and CSS-coded emails, and ignore sales-y, product-focused marketing messages. They’re a unique audience with distinct marketing preferences. And companies that can appeal to these preferences will be able to squeeze into their circle of trust and reap the many, plentiful long-term benefits. One way is through thought leadership marketing. Thought leadership is more than just “business jargon” or a corporate buzzword. It goes much deeper than building brand awareness, churning out content, and highlighting your industry expertise to generate leads. It’s about building and maintaining meaningful relationships while sharing knowledge, experience, and resources to better the developer and software professional community. Build long-term relationships with your audience and target market. Become a trusted resource on a particular tech subject matter. Provide tools and knowledge to help professionals excel at their jobs and in their career. 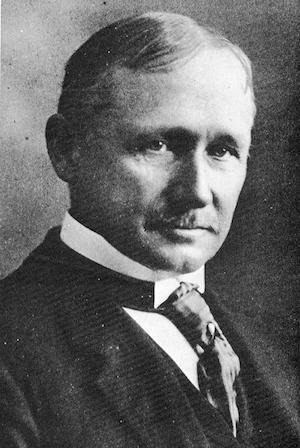 One of the first thought leaders in business was Frederick Winslow Taylor, an engineer at Midvale Steel Company. He published the book, “The Principles of Scientific Management” over 100 years ago, sharing his principles on factory production. His book and theories on scientific management continue to influence modern industry around the world, making him a well-respected thought leader. He didn’t write his book to promote the factory he worked for. He wrote the book because he believed in the scientific management principles he implemented at various firms throughout his career. He believed that those principles could help factories and production firms all over the world increase productivity, save money and time, and improve overall worker relations. One hundred years ago, when Taylor was preaching his theories, getting the word out was much harder. He didn’t have the internet, social media, or self-publishing to generate awareness. And while there weren’t many people all vying for a chance to be heard in his day, the knowledge he shared was so good that it continues to influence the modern industry. Today, there are many more opportunities for marketers and brands to interact and engage with software developers and IT professionals. Give your audience the tools and resources they need and desire to be successful. By regularly publishing quality content that your audience wants to read, your brand will slowly become a go-to source for industry news, trends, and tips. How do you know what your audience wants to read or learn about? Ask them! One of the best ways to find the right content is to ask your audience what it is they want to read. 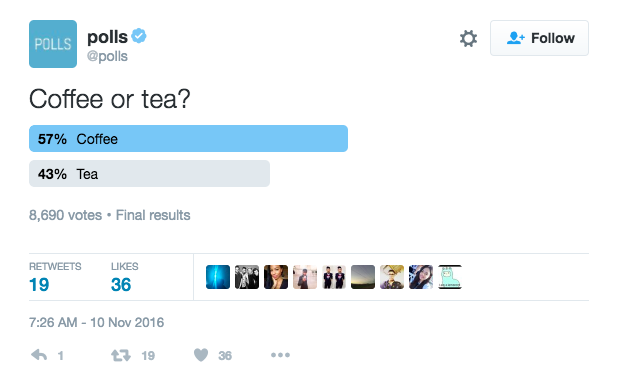 Post a question on your Facebook page or create a poll on your Twitter account to easily get their input. Don’t have the time or the bandwidth to publish your own content? Look for publications or studies you can partner with. By sponsoring or taking part in an industry resource, you are aligning your brand with research – which translates to thought leadership – and gives you some easy-to-use content to share on your own channels. Conferences are great ways to build thought leadership because they motivate and inspire the developer and software community. You can use your presentation to share ideas, show progress on a specific type of research, or even explain how to solve a problem. It’s not the time to promote your product/service though. Instead, focus on the conference audience. What are their goals? What are they hoping to learn? Not sure what those answers are? Ask them! Use social media beforehand to ask conference-goers what they want to see and hear. Tailor your presentation to help them. Typically, brands spend more time talking AT their followers than talking WITH or to them – wanting to focus more on how they can get more people to try their service/product than understand their true needs. This approach does little to help you get to know your audience. By talking with your audience, you’ll receive more than content topic ideas. You’ll be more in-tune with their needs, wants, and trends, and be able to better adapt to shifts in the industry. Leave the shop talk alone. Not every conversation is about selling. Forget that you offer a product/service and just get to know your audience. Find out what they’re struggling with, how they feel about the industry and where they think it’s going, why they love what they do, etc. Answer their questions on social media. Search one of your industry hashtags on Twitter and scroll through the results. If you see someone asking for help, offer advice or a link to where they can learn more (even if the link isn’t your own). It’s about providing them with the resources they need to be successful, not herding them to your website. Hold a regularly scheduled Twitter chat or Google Hangout on an industry topic. While this is along the lines of content, it opens up a two-way conversation between you and developers. Even if you don’t have a specific topic in mind, a simple Q&A session to talk about the industry works, too. The world of tech is ever-evolving – and to stay current on the industry and latest trends you have to keep learning. And it’s not just topics that directly affect your industry and brand. It’s the sub-topics as well. Learn about thought leadership marketing tactics with DZone, including our annual Research Guide publications, by viewing our 2017 Media Kit today.